Finance Guru Speaks: This article will provide details on how you can close or cancel your online RD (Recurring Deposit) account through HDFC Bank Net Banking. 1. Login to HDFC Bank NetBanking with your valid details. 4. In the next screen, check all the details carefully and click on Confirm button to close or cancel your online RD Account. Congratulations!! You have closed your online RD Account successfully using HDFC Internet Banking facility. - The base rate applicable for the tenure for which the deposit has been in force with the Bank. 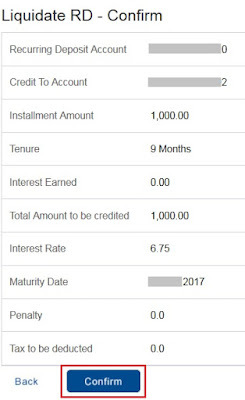 The base rate is the rate applicable to deposits of less than 1 crore as on the date of booking the deposit. This facility does not allow partial liquidation of the Recurring Deposit into the source savings / current account. Recurring Deposit liquidation on NetBanking is available only for Single holding deposits of Individual customer's. 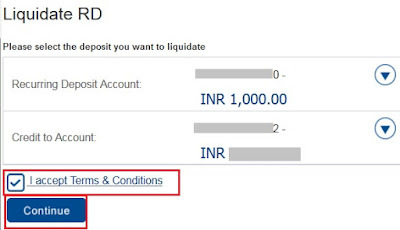 Online Liquidation is not allowed for below mentioned deposits. - Non individual Customers such as HUF, Trust, Society, Proprietorship, Partnership Public and Private Ltd. Cos. For all such Deposit customers will need to visit the nearest branch for liquidation. 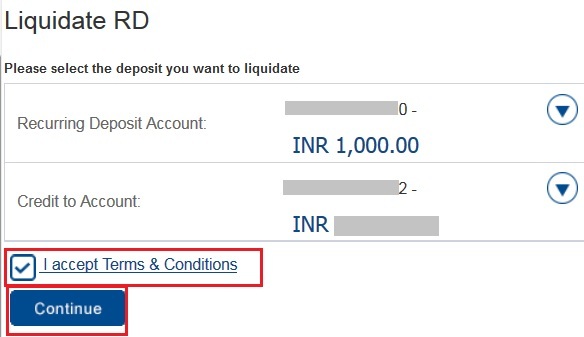 How To Open Online Recurring Deposits (RD) In HDFC Bank Through NetBanking?